10 Years After Implementation, NYT Cites Lawyer, Former SEC Official, PCAOB Oversight Member, and Editor Who See SOX as a Positive Development. WSJ Sources Not So Sure. IBD Claims SOX Has “Devastated” IPO Market. Recently, I polled the corporate governance community on TheCorporateCounsel.net about which aspects of Sarbanes-Oxley have had the greatest influence. A majority (59 percent) said that the enhancement of internal controls was the biggest long-term game-changer, followed by C.E.O.’s and C.F.O.’s being forced to certify the validity of S.E.C. filings (27 percent); Section 16 reporting (which requires insiders to disclose trades in their company’s stock) being cut to two business days (16 percent); and the creation of the Public Company Accounting Oversight Board (16 percent). Evaluating Sarbanes-Oxley can be tough because the purpose of enhanced internal controls and use of C.E.O./C.F.O. certifications was to prevent frauds before they could happen. No doubt these new requirements have stopped some frauds in their tracks – but we have no way to know. For my money, I continue to believe that the Public Company Accounting Oversight Board’s birth was the most significant part of Sarbanes-Oxley even though its reporting structure, controlled by the S.E.C., prevents it from being as effective perhaps as it could. The auditing profession is now more fully regulated rather than relying on self-regulation – always a dicey proposition. On Capitol Hill Thursday, the U.S. House of Representatives Committee on Financial Services’ Subcommittee on Capital Markets and Government Sponsored Enterprises heard testimony that Sarbanes-Oxley is still a big issue for smaller firms – possibly hamstringing IPOs and diverting the attention of fledgling companies away from growth. Over the past decade, dating from the 2002 Sarbanes-Oxley Act, Congress and federal agencies have crammed the law books with thousands of new strictures on corporate behavior. Congressional staff lawyers draft these rules, the lawyers who dominate Congress enact them, and the lawyers in the Justice Department and alphabet agencies like the SEC enforce them, many of the enforcers showing a special zest for bagging big game. All this lawyerly activity has expanded the power, responsibilities and vulnerabilities of another set of lawyers, the chief legal officers, or CLOs, who try to steer corporations through the new legal labyrinth. For one thing, the CLOs have to read and try to interpret tomes like the 2,700-page Dodd-Frank Act, a task not attempted by some in Congress who voted for it. With “Indispensable Counsel: The Chief Legal Officer in the New Reality,” E. Norman Veasey and Christine T. Di Guglielmo have written a field manual to aid CLOs with their new tasks. More important, the authors have illuminated how Congress, primarily through Sarbanes-Oxley, has inserted the long arm of federal law into executive suites and boardrooms to influence private-sector decision making, using the CLO as cat’s paw. The “new reality” in the book’s subtitle means, among other things, that CLOs must be prepared to spy on their bosses and tattle to the board of directors if something seems amiss. Such monitoring tasks elevate the CLO’s status inside the corporation but at the price of the considerable discomfort of facing criminal penalties for failure to keep adequate tabs on the chief executive who does the hiring. The role of the CLO has undergone a “sea change,” we’re told, in an environment now populated by “new and aggressive actors” who may challenge the CLO’s “every move.” These aggressive actors include “regulators, lawmakers, courts and litigants.” Naturally, the CLO also handles traditional corporate legal chores as well, like fighting off predatory lawyers who harass companies with product-liability or personal-injury lawsuits. The authors bring strong credentials to their task. Judge Veasey served 12 years as chief justice of Delaware, where more than 60% of Fortune 500 companies are chartered. Ms. Di Guglielmo, the judge’s former clerk, is now his law-firm associate. As they remind us in “Indispensable Counsel,” the Sarbanes-Oxley intrusion into the internal workings of private corporations was whooped through Congress a decade ago on the heels of the Enron scandal, even though existing anti-fraud laws were adequate to punish Enron wrongdoers. The new law added enormous compliance costs, particularly for smaller companies, prompting some firms to go private to escape the clutches of the SEC. Critics say that the law has chilled initial public offerings of stock. Arguably it has tilted corporate decision making toward lawyerly caution and away from risk taking, the motive force behind economic advancement. But to what end? 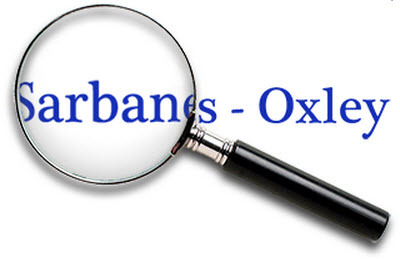 Certainly Sarbanes-Oxley hasn’t ended corporate scandals. Most recently, ML Global Holdings, headed by the former Democrat politician Jon Corzine, “mislaid” $1.6 billion of client money. Indeed, the conceit of the lawyers who draft detailed pieces of “preventive” legislation—including Dodd-Frank, which sought to reform Wall Street practices after the mortgage meltdown—is that they can anticipate all adverse contingencies and write rules that will forestall them. Nobody is that smart, and the more rules there are the more likely they are to be ignored or circumvented. The authors quote Stephen Bainbridge, a UCLA law professor, who writes: “Are Dodd-Frank’s governance provisions quackery, as were Sarbanes-Oxley’s? In short, yes. Without exception, the proposals lack strong empirical or theoretical justification.” Nonetheless they are now the law of the land. In Free Enterprise Fund v. PCAOB, a five-justice majority found a provision of the Sarbanes-Oxley law unconstitutional, yet left the SarbOx regulatory structure largely intact. With almost surgical precision, the Court erased the limitations on removal of members of the Public Company Accounting Oversight Board (PCAOB), thereby granting petitioners a victory on their constitutional claim without providing them with much (if any) practical relief. This reinforces the formalist nature of the opinion insofar as the Court’s majority is insisting that Congress not obstruct executive authority but not doing much else to constrain the regulatory apparatus Congress constructed. The Court drew a line in the sand to safeguard executive power and ensure greater accountability, but did so without picking much of a fight. I’ve highlighted some interesting, and perhaps important, passages from the Chief Justice’s majority opinion below the fold. For additional commentary, see John Elwood’s comment below. Here are additional early thoughts from David Zaring, Larry Ribstein, Megan McArdle, Rick Pildes, and Stephen Bainbridge (here, here, and here). On “60 Minutes” last December, correspondent Steve Kroft raised the prospect of using SOX to prosecute bank executives for their role in the mortgage crisis. That makes the question of why, after a decade, Sarbanes-Oxley hasn’t been a boon to the prosecution of corporate crime all the more pressing. Why aren’t SOX’s false certification provisions producing the sort of quick, easy cases that prosecutors like Seymour envisioned when the law was first passed? The answer, according to five current and former federal prosecutors, lies partly in the specifics of the certification provisions and partly in how corporations have responded to Sarbanes-Oxley. Most major corporations have implemented internal compliance systems that make it very difficult to show that the CEO or CFO knowingly signed a false certification. And when prosecutors have enough evidence to show that those internal systems failed and top executives knowingly engaged in wrongdoing, they prefer, for strategic reasons, to charge crimes other than false certification.
. . . Nevertheless, as Sarbanes-Oxley turns 10, it’s time to admit that SOX is not a sufficiently powerful law, on its own, to keep corporate executives honest. Then again, what law is? Instead of shirking responsibility and blaming increased competition from Frankfurt or Singapore, it’s time for Washington to take a hard look at the policies put into place that are impairing our ability to attract companies seeking to list on exchanges. Exhibit A is Sarbanes-Oxley (SOX), which was signed into law 10 years ago this week. According to a survey by the Securities and Exchange Commission, the most often cited reason companies chose to list elsewhere was not location or even our sky-high corporate tax rate. It was the regulatory compliance and legal liability produced by SOX. Certainly the law has positive aspects. For instance, safeguards were put in place to ensure auditors remain unbiased and independent. But the costs of compliance and legal liability have overshadowed the potential benefits. In part, that is because not enough work occurred on the front end. At the time of passage, the SEC estimated that the cost of Section 404 of SOX would average $91,000 per company. Subsequent studies have shown that the true cost is on the order of $3.5 million per company — more than 35 times the SEC’s original estimate. Royce also claims that according to the SEC, the burden for small companies of complying with regulations such as Section 404(b) of Sarbanes-Oxley is more than seven times that imposed on large firms relative to their assets.